Well, it's that time of year again. Mother's Day is right around the corner. This is always a crazy time of year in my house. 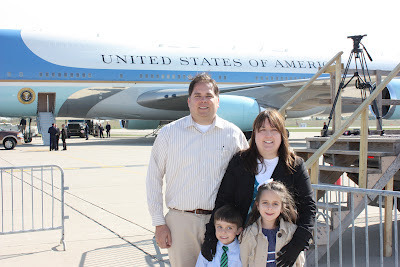 My wife's birthday (5/10) is always right around Mother's Day so I am always in a bind looking for multiple gifts. Throw in the fact that my own mother's birthday is in late April and you can see that I am really on the spot. To be honest, I am really not a great "gift shopper" to begin with, so when I am on the spot, things get even worse. Thankfully, I stumbled across this humorous piece from Time, "10 Geekly Mother's Day Gifts to Avoid." I actually got a chuckle reading through some of the gifts. A pink taser? The "Dream Man Arm Pillow?" Would people really think about buying these things for their moms or wives? Now that I think of it, I'm not that bad of a shopper. I know better than to buy some of this crazy stuff. My own mother taught me well and always said a gift for mom should never be an appliance (although I think she may have to re-think her policy after receiving a Keurig last year)! An eReader: If the mom in your life loves to read, then an eReader makes a great gift. They have really come down in price and offer some great features. The Barnes & Nobel Nook can be purchased for as little as $79 for the Nook Simple Touch model. An Amazon Kindle can also be purchased for just $79 as well. They are very easy to use, and most users fall in love with them. An iPad: Does mom want a little more than just an eReader? Than I suggest going with Apple's iPad if you decided to purchase a tablet. Sure, there are other models, but it is hard to deny that Apple has the best product out there. If you do not want to spend a lot of money on the newest edition, you can still pick up an new iPad 2 for $399 via the Apple site. A Keurig: If mom is a coffee drinker, then a Keurig is the perfect gift. Single cup coffee/tea/hot chocolate brewing is so easy. 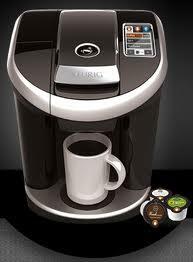 Actually, this new Keurig Vuesystem would make a great Father's Day gift as well (hint, hint)! A Custom Photo Book: Digital photography is great, the only problem, 90% of those pictures are stuck on our hard-drives (or posted here and there online). Why not take some time and make mom a custom photo book? Why not find some older pre-digital photos, scan them and then include them into the photo book? There are plenty of sites out there (Snapfish and Shutterfly are two of the more popular sites, I tend to just use iPhoto and Apple's store) that make it very simple to create and print a quality photo book. So go ahead, try one of these gifts for mom....or if you think Mom would prefer the"Bottle of Wine Giant Glass" instead feel free to give that a try.....just make sure you take away the car keys. Happy Mothers day to all the moms out there....especially to my wife Elisa, my sister Laura, my mother Chris and mother-in-law Nancy....you are all the best!